Mom's Guide 2018: What's The Best Baby Carrier For Dad? 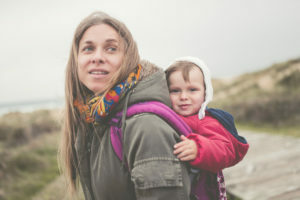 Mom’s Guide 2018: What’s The Best Baby Carrier For Dad? If you’re anything like my husband, you might need some convincing to use a baby carrier. “But they’re for women!”, right? Wrong! There are baby carriers out there that are just as manly as they are practical. Fathers these days have no excuse not to wear their babies, and there are great benefits to doing so. 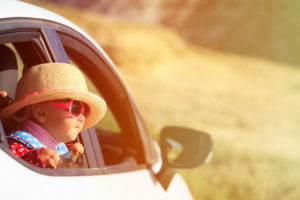 They’re a lot more convenient to use than a stroller, anyway! 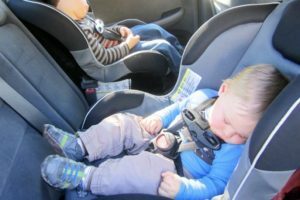 BabyBjorn Baby Carrier Miracle: The Best Baby Carrier For Men! The Babybjorn, made famous in The Hangover. 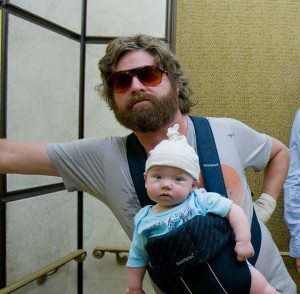 You may have seen it featured in the hit comedy “The Hangover” starring Zach Galifianakis: the BabyBjorn Baby Carrier is a really great carrier for dads of all sizes. It should work for big and tall dads, too! It also has a waist belt and back support, which not only makes it really comfortable to wear (especially long-term) but it’s nice if your husband has a bad back; it is built to put most of the weight on the hips. Also making it nicer is the fact that it’s a front-carrier, which is also better for the back. 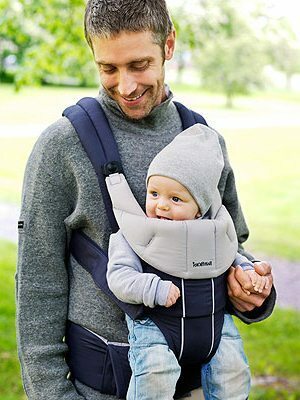 This carrier is adjustable, so you can use it comfortably as your baby grows, and it easily snaps up from the front to put your baby in and out of it. It’s really easy to use, and you’ll be able to get your sleeping infant out of it without even waking them up: bonus! Don’t be fooled: the BabyBjorn works just as well for moms as it does for dads. 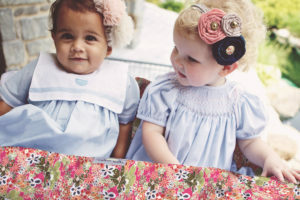 Most of the available colors are pretty gender-neutral, so they won’t look out of place on either mom or dad. Also, since it’s so adjustable, it should work on both tiny moms and tall dads. It’s suitable for newborn infants, which is nice: it has adjustable head support, and the legs & hips are placed in an ergonomic position. It should be suitable for children up to about 26lbs or around 15 months. It’s also machine-washable. What’s also nice is that the materials are 100% safe, so you don’t have to worry about your baby chewing on it. The materials are also super-durable, too. I already mentioned this, but I have to reiterate: this carrier is simply awesome for those of us with bad backs. It has great lumbar support and a waist belt, and it’s really comfortable to wear. I’ve seen a lot of people talking about how most baby carriers are simply impossible for them to use because of back pain/problems, but this one is much more comfortable and even pain-free, which is pretty amazing. The best place I’ve found to buy it is on Amazon (check the price here) where they offer a pretty huge discount (at the time of writing, it’s over 20% off of retail) and also free shipping and returns, so it’s completely risk-free. If you don’t like it or it doesn’t work for you or your baby, you can simply return it. Definitely recommended!